gmarquardt has an M.A. in history and German from SWTSU and has over 25 years teaching experience at public high schools. 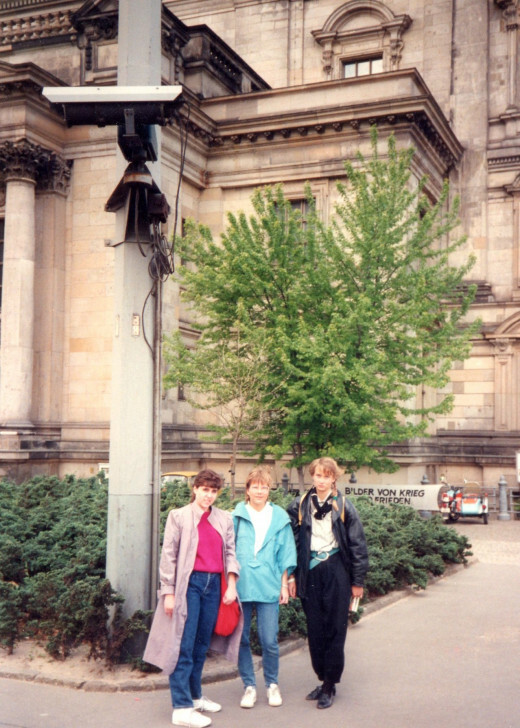 Between the spring and fall semesters of 1988, I became an exchange student in Germany. The exchange was between Southwest Texas State University and Universität Hannover. Typically, German students came and lived on the SWTSU campus for four weeks in February and March in San Marcos, Texas. Then, after finals were completed, we Americans lived directly with our student partners for four weeks in May and June in Hanover, Germany. I eventually participated in this exchange program for three consecutive summers until 1990. My first exchange occurred in June of 1988. I was a young and impressionable student between my sophomore and junior year and had two years of German study behind me. I was adapting quickly to speaking mostly German and was very much enjoying my studies and time in Germany. During one long weekend our group traveled to Berlin. 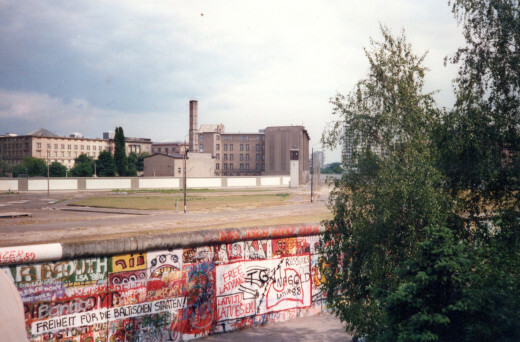 Every trip entailed an excursion to Berlin, with the compulsory tours of all the tourist traps, but also a day trip into communist East Berlin. 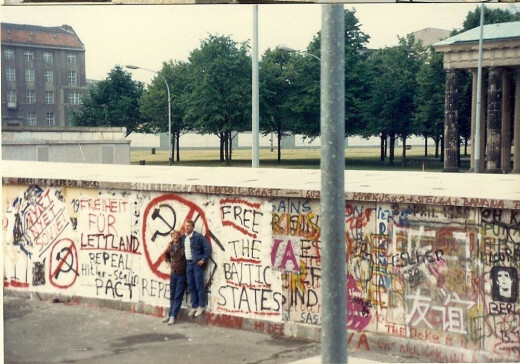 Berlin in 1988 was vastly different than it is now. First, we had to travel across much of the communist German Democratic Republic just to get to Berlin. Known as the "island of democracy" deep in East Germany, we had to travel through three checkpoints to get inside West Berlin. As we drove along the Autobahn, I was both nervous and excited. We pulled up to the first checkpoint, the East German (German Democratic Republic) and West German (Federal Republic of Germany) border. We waited about an hour in a very long line of cars, slowly creeping up to the Marienborn border crossing point, the largest of its kind in Germany. Each passenger (there were four of us in the car) had to surrender their passport to a large and menacing guard. These guards carried automatic rifles and they could completely search the vehicle if they so desired. Although we were not searched, several guards circled our car while others stamped our passports with the required travel visa. After haven already taken a few photographs of the border, I was told by my German friends not to take any more pictures, as that was a major crime in the G.D.R. After what seemed like an eternity, we were finally cleared and allowed to pass. 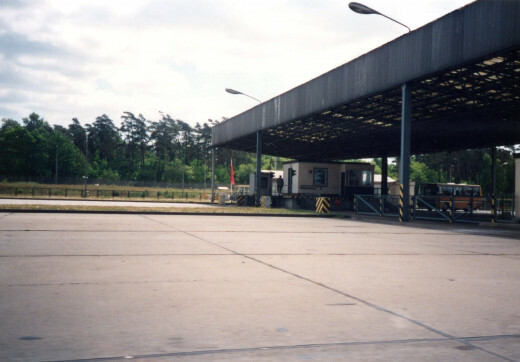 We slowly drove through the border booth that covered the entrance to East Germany over the Autobahn; large walls of the border protection fence on either side of us blocked our view of everything except the highway. Cars waiting to cross the Marienborn crossing. Marienborn crossing. 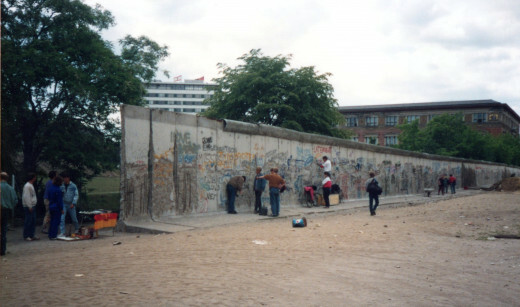 It looks empty, but this was the side that allowed East German citizens out. Driving through the G.D.R. to Berlin was quite interesting in its own right. 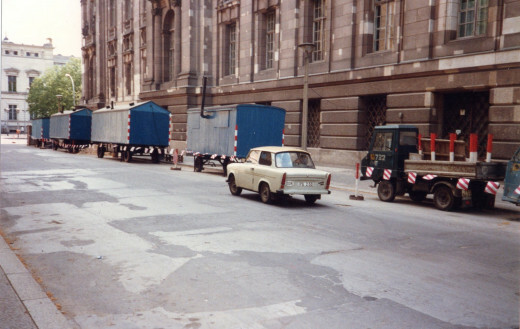 There were very few Trabis on the road, the notorious East German cars. We saw an occasional driver though, blue smoke puffing out of the exhaust pipe as it rambled down the highway. Rising over one hill, we spotted speed limit markers right in the middle of the road. They were orange road cones spaced about 100 feet apart with the speed limit posted directly on the first cone. It was a classic speed trap, remarked my friend who was experienced in driving to Berlin. "Rich Germans from the West speed along like it’s the Autobahn, with no speed limit," she explained. We noticed the green Polizei Trabi with the officers deploying their radar gun as we drove slowly on by. 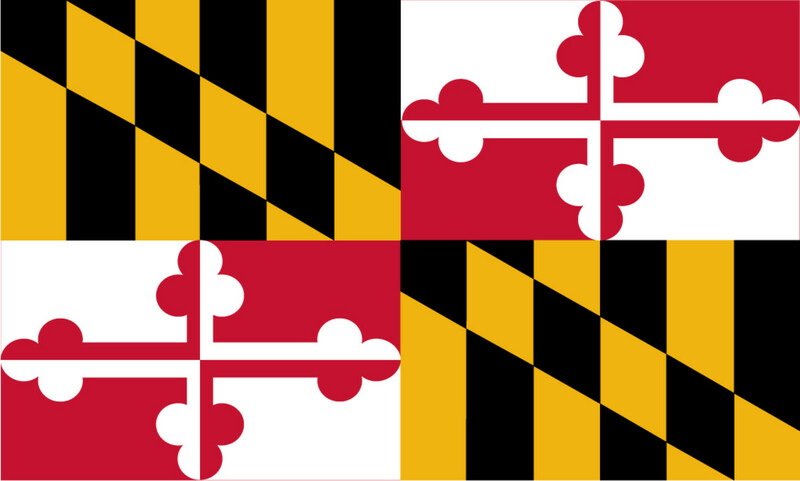 "They like to get western Marks," she wryly commented. I knew we were getting closer to West Berlin when I spotted all the signs proclaiming that East Berlin was the capital city of the G.D.R. in direct violation of standing agreement. Driving across the Berlin border was actually quite leisurely, save for my own uneasiness when I spotted the next border checkpoint. Our second checkpoint was a recheck of our passports, which was quite thorough, but we had no problems, and it went quite fast. A Soviet T-34 tank positioned proudly on top of a memorial reminded us all of who was in charge. Our third and final checkpoint was at the American sector where we were simply waved on through. Once inside the Western sectors of Berlin, we found our hotel and settled into our living arrangements for the night. We visited and toured most of the important Western points of interested, the Charlottenburg palace, the Reichstag, the famous Kurfurstendamm street, and the Kaiser Wilhelm Memorial Church. We went to bed exhausted, but excited about the next day’s adventures into East Berlin. Soviet T-34 War Memorial right before entering West Berlin. Because we had German citizens with us, we entered East Berlin through the Friedrichstrasse entrance. Germans were not allowed through the more familiar crossings such as Checkpoint Charlie as those were reserved for citizens of the Four Power Agreement of 1971, France, England, USA and USSR. We started in a long line which queued into a building where everyone was herded into individual lanes. When it was my turn, I had to stand sideways to squeeze into the area where I had to talk to the immigration agent. The guard sat in a small booth, much like a ticket seller. I handed him my passport and my required 25 Deutsche Mark, (another way of getting that desired Western currency) and he handed me 25 Ostmark. Behind me was a mirror about three feet higher than my head that was angled so that the guard could see behind me. With my backpack on, it was a very tight squeeze as I rubbed against the back wall and the front of the booth. I was then released to another guard who, armed with a holstered pistol, stood next to an X-ray machine. We took off our backpacks, they were X-rayed and then we were let out into a square in downtown East Berlin. We meet up with our friends as they too completed the odyssey through the border and we started our tour. The first thing I noticed was how gray and drab everything looked, including the people. Even though there were a few people out on the streets, the tourists made up the majority of the pedestrians. It wasn’t so much the lack of people that caught my eye, but how they behaved. It was as if they had no purpose in life, no reason to live. I was very nervous, thinking of all the horrible things those evil communists could do to me, and I noticed the same nervousness on the citizens of Berlin. Most seemed old, listless and tired, and they completely ignored us. It was as if just noticing us would get them in trouble with the local police, the infamous Stazi. Cameras seemed to be everywhere, big brother spying on us at every turn. The buildings were scarred from the battles of World War Two and many were completely dilapidated, cordoned off with metal fences. 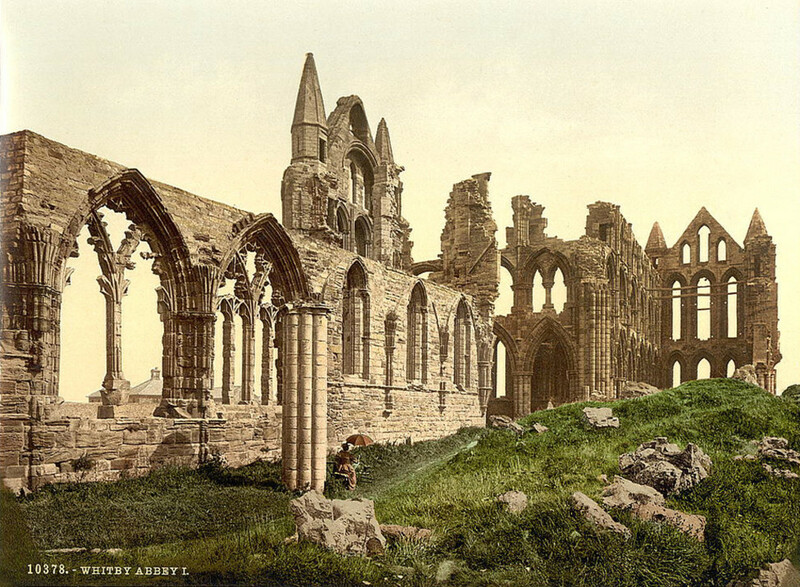 It seemed haphazard as to which buildings had been rebuilt and which were not. Large shrapnel combined with small bullet wounds scarred many residential buildings. We continued our walking tour up and down the famous Unter den Linden street and I purchased a few books and then quenched my thirst with an East German soda. Prices were very cheap by Western standards, and products were plentiful, but the variety and the shops themselves were quite small. Continuing on, I visited the famous Pergamonmuseum and the Bodemuseum. While taking pictures at the Bodemuseum, a guard came running over and yelled at me for taking pictures. I showed him my extra ticket that I had purchased that allowed me to take pictures and that just made him yell more. It was only later that I learned it was okay to take pictures, just without a flash! I guess my German abilities were still quite weak. To get back over the border to the Western zones, we lined up back at the Friederichstrasse crossing and went through the same ordeal as getting into East Berlin, this time, however, in reverse. One of the many rules was that those 25 East Marks had to be spent and was not allowed to be brought back over. 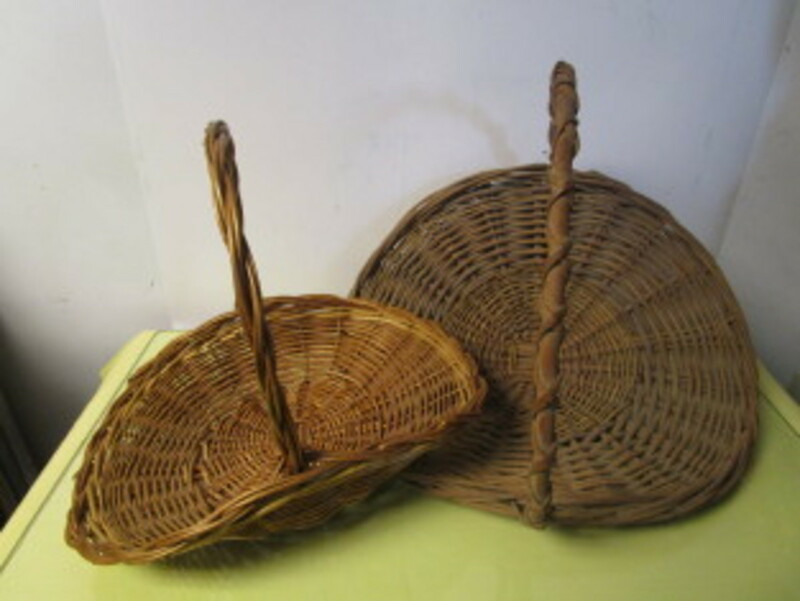 Moreover, one was not allowed to exchange any of it back into western Marks! Those sneaky communists sure knew how to manipulate the capitalists! Nevertheless, a few of our West German friends put some change into their shoes and smuggled the money out as souvenirs. Our passports were stamped and we returned to West Berlin. Later that night, we got into our cars and returned to Hannover. The trip back seemed to take a long time, but I think I was simply lost in thought the entire way home. Security cameras near the Berlin cathedral. 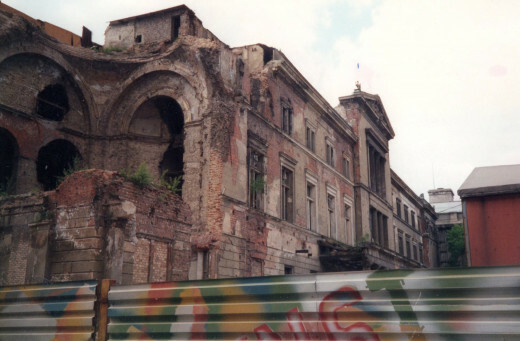 In 1989 I was on my second exchange and again we traveled to Berlin. This time was quite different, however, as Mr. Gorbachev had visited Berlin earlier in the year and had brought his ideas of perestroika and glasnost with him. Both of those ideas were very well received by the local citizens in Berlin. Demonstrations had broken out all over East Germany as citizens demanded more openness from their government and fewer restrictions on traveling. These beginning protests eventually led to the collapse of the East German government and the opening of the Berlin wall. Corresponding with these demonstrations was my own summer trip to Berlin. I immediately noticed that things were different upon driving up to the East German - West German border at Marienborn. Instead of being circled by menacing guards, we were requested to bring my and our passenger’s passports into a building for inspection. I volunteered to take all four of our passports inside the booth to be stamped for passage. My German was noticeably better, and I enjoyed talking to as many Germans as possible for practice, even communist border guards! As I entered the booth, the guard looked up, greeted me friendly, and I responded with a timid, "Guten Tag." 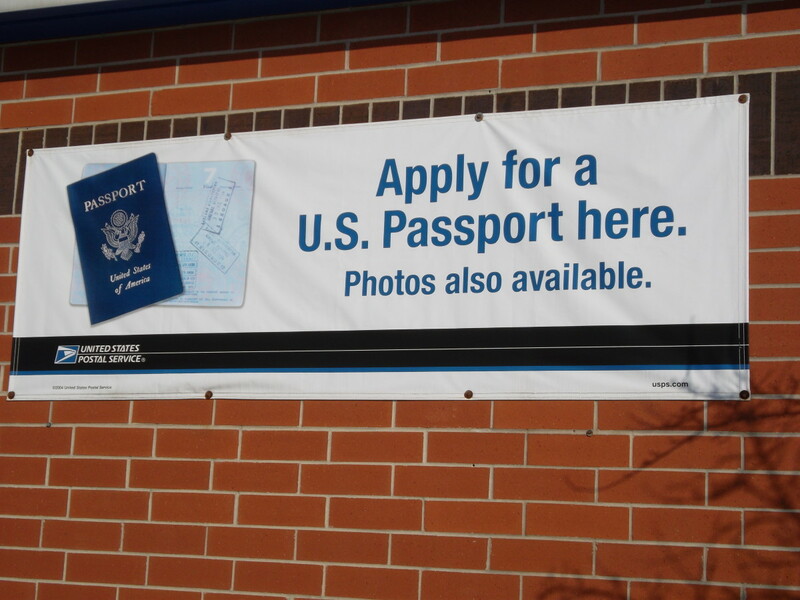 The immigration official then mumbled something at me as he looked over our passports. Nervously, I responded, "excuse me?" Speaking completely in German, he said, "I said, it is a beautiful day to visit Berlin, isn’t it?" 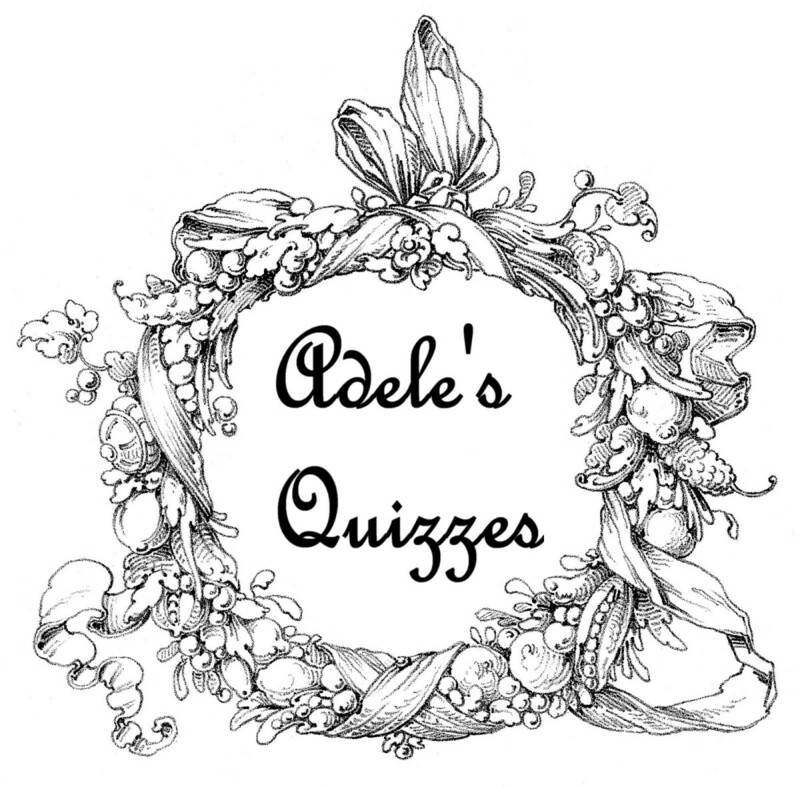 I meekly said, "Yes, yes..." He then asked, "Why are you traveling to Berlin?" I told him I was a part of an exchange program and that we always traveled to Berlin. He reminded me of some of the famous sites that were worth visiting, and then he said, "Where are you from?" I told him, "Texas." He immediately broke out into a broad grin and asked, "Do you speak any Spanish?" I responded by saying, "very little, only a little bit, like ‘dos cervezas por favor.’" I then bravely asked him, "Why, do you speak Spanish?" He continued to smile and happily said, "Yes, I learned Spanish here at school." We exchanged a few more pleasantries about Texas, Mexico and other Spanish speaking countries while he continued to look over our passports, make notations and give us the appropriate stamps. He then held out our passports and before I could turn and leave, looked me right in the eye, and while his superior officer listened, he said, "I want you to remember how I treated you today, because one day I will travel to Texas, and I want you Americans to treat me the same decent way that I have treated you." I broke out in a large grin and chuckled, "We will." It was at that moment, with that friendly open guard, that I recognized something was changing in East Germany. I had not a clue that it was such a larger political movement than I could ever have imagined, but something was surely afoot! Typical street in East Berlin. As we woke up the next morning, preparing for our foot tour of East Berlin, I steeled myself for the difficult bureaucratic crossing. However, after last year’s scary trek across the border, this time the incident was uneventful. Although the guards were the same and I had to go through the same stations as last year, the mood was noticeably more relaxed. As I exited the building, I saw a few of the demonstration posters and banners hanging outside the Friedrichstrasse crossing and a few tattered about the grass. Some of the demonstrators were cleaning up from the night before, and others were getting new banners for the next night’s demonstration. We stopped and gawked a little, and I noticed that the banners created a sense of color in the streets. The demonstrators were young and excited. I still saw many of the older, drab citizens, but I also noticed many younger people. I walked and observed, and continued to notice that things were a little faster paced, yet I noticed absolutely no police. The border guards were around the Brandenburger Tor, but they too were smoking and more relaxed than the previous year. The atmosphere was still very communist and nerve wracking, but somehow slightly less than last year. Our tour group met at the American embassy where we received a nice lecture on East - West relations. Again we had to show some documentation, this time, however, to the Americans guarding the embassy. Afterward, we were given a few hours to explore the city before we had to get back. As soon as my friend and I rounded the corner we were stopped by a very friendly police officer who saluted us and asked for our identification. I reluctantly but obediently gave him my passport, and he stated my name and location of birth into his radio. 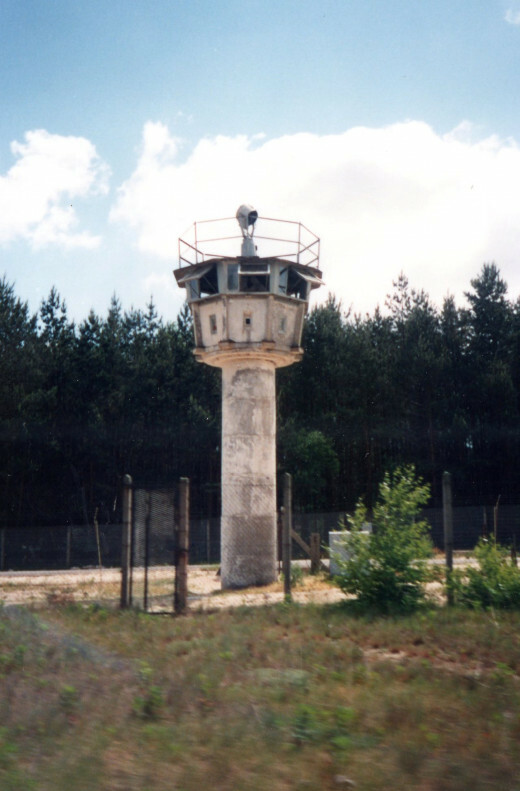 Something came back on the radio that I could not understand and my friend and I were allowed to leave, but not before he wished us a wonderful visit in the German Democratic Republic. Lining up to get back to West Berlin, we again had to go through the immigration officials. I did not spend as much money this time around, so I decided that this time, I myself would smuggle my East Marks out! I put around four Marks in loose change in my shoe, walked around the corner and lined up to cross into West Berlin. I entered the building, gave the guard my passport, which was quickly stamped, and just as quickly I exited the building. It was a smooth getaway! Two friends at the Berlin Wall, 1989. 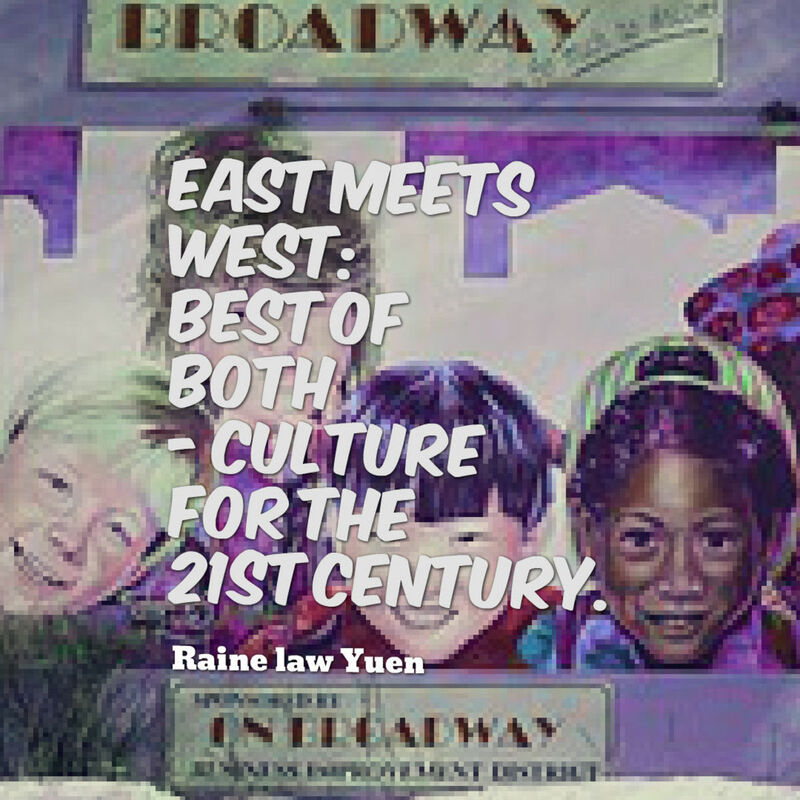 In the summer of 1990, I was once again participating in the same exchange program as the previous two years. I looked forward to the Berlin trip with anticipation, as the wall had fallen the previous November. The entire excursion was much easier than I had ever thought possible. The border guards who had circled our car on the first trip and provided me with so much insight on the second trip were half asleep in folding chairs at the Marienborn station, simply waving us through the border. We never even stopped, we simply waved at them with large grins on our faces. I couldn’t believe it. 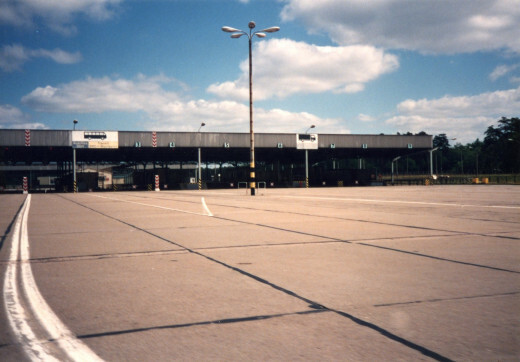 Marienborn, crossing into East Germany, 1990. Getting into East Berlin itself was somewhat of a nonevent as well. I never had to show my passport, I was not stopped or questioned, nor was it even required to go through any official border crossings at all. In fact, the border no longer existed in any real sense at all. One could simply cross through the gaps that had been carved out of the Berlin Wall. In the more traveled areas, the wall had disappeared and one could physically walk directly on the dusty track where the wall had been built. 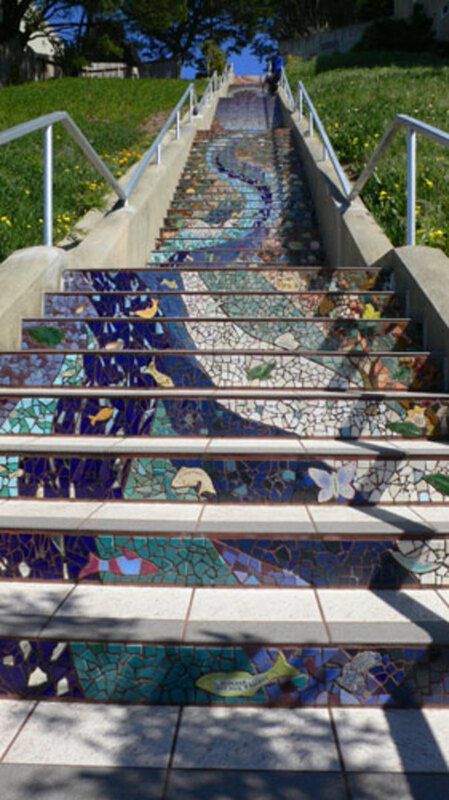 Often one could look down and follow the path where the wall had been. Large gouges cut across the pavement of old roads. Often railroad tracks that had been used as reinforcement were cut smooth, perpendicular to the ground. These railroad tracks acted as reinforcement for the wall much like rebar is used to reenforce today’s concrete. Nearby, many people were chiseling away at remaining portions of the wall while some crafty entrepreneurs had set up shop, renting out a hammer and chisel for a modest fee. There were many tourists mingling with citizens who meandered around, mostly lost in thought, reflecting on the importance and meaning of it all. 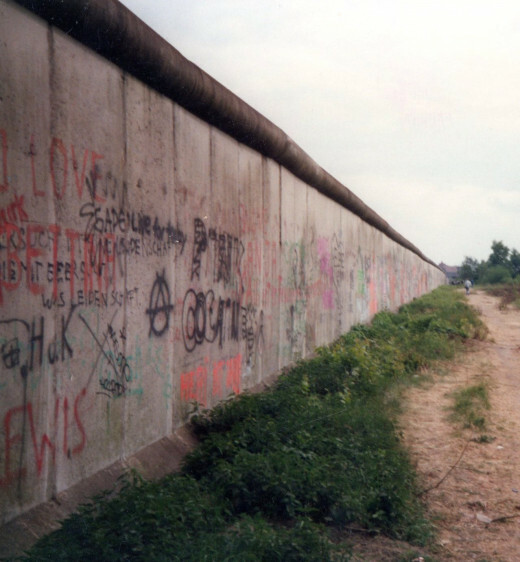 Many wondered why the wall had been built in the first place, while a few wondered what would become of the territory between East and West German. Not only had the G.D.R. 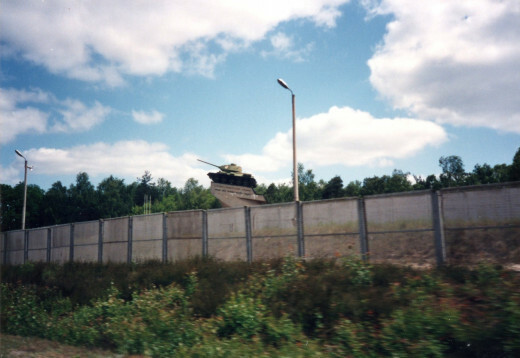 government created a 100 yard "dead zone" near the West Berlin border, but there were in fact two walls that constituted the border, with a "no man’s land" between them. As such, there was now just a big empty field between East and West Germany. The few buildings that did survive between those borders were gray and uninhabited. Two countries still existed in realty, but there certainly was no longer any physical barrier between them. Later, this area became the largest construction site in Europe during the 1990s, as buildings and businesses went up in the hundreds. Chipping away at the Berlin Wall, 1990. 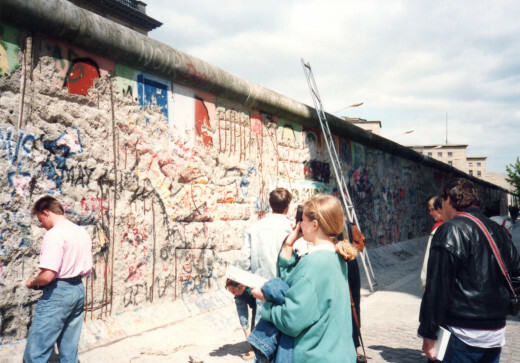 Taking down the wall, 1990. To explore more areas that had been off limits during my first two trips, my German friend suggested we go deeper into East Berlin. He wanted to eat at a local pub where some of the original East German demonstrators had met and organized. I agreed and we walked farther into the drab interior of East Berlin, past large, run-down yet still inhabited tenements. Even though we were non-citizens and I was still somewhat nervous, we never saw a single police officer. It was as if Berlin had already merged into one city yet again, and the communist era was completely over. At the pub, our beers were cool and refreshing, and our meal was excellent. All was correct in the world. 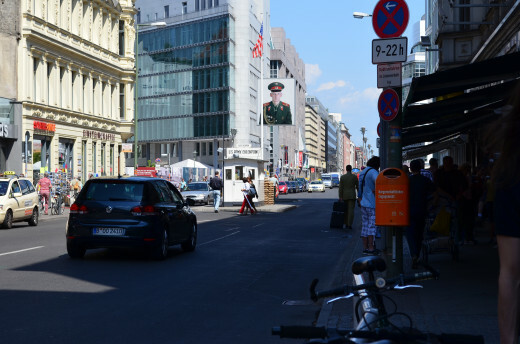 Modern East Berlin, here behind Checkpoint Charlie, shows little of the old Berlin Wall. Your experience seems very similar to mine. My best friend is a West Berliner and I've been going there since around 1986. I used to think the fact that Eastern block countries were always shown in black and white was Western propaganda. 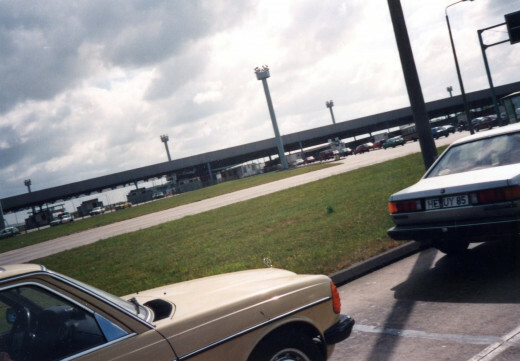 But then I drove through East Germany for the first time to get to Berlin. Turns out it wasn't filmed in b & w, it WAS b & w.
I was also in Berlin the weekend people started crossing the wall and nobody new if the Russians were going to come in and blast everyone away. What a different world it is today.